Hello again, I bet you thought I vanished the earth....LOL. No, not quite yet, but I have been working on things, that is all, so my blog has been lonely, but rest assured it will be busy once again next week.... I am back to post for Scrap-mart! 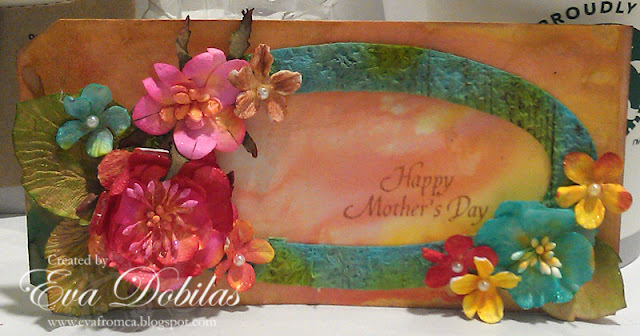 Today I am sharing two more tags using JustRite Stamps and Luminarte Twinkling H2O's, which I hope you will like. Here is my first one, which is using the Spring Words set. 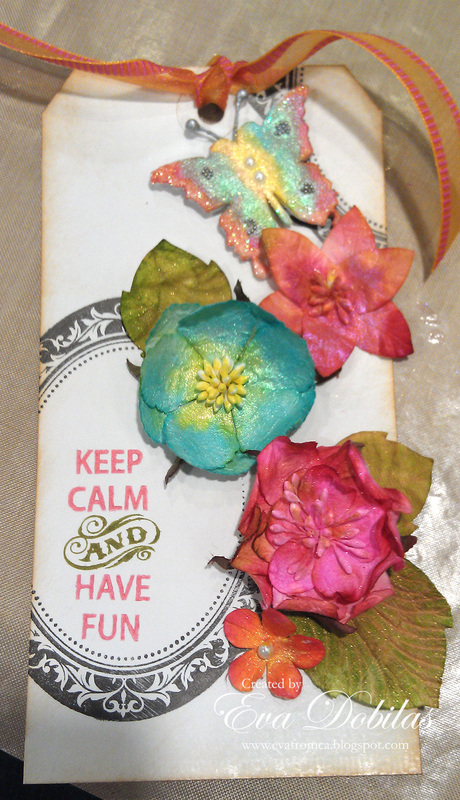 My flowers are by Petaloo, their Color Me Crazy collection, which was painted with Luminarte Twinkling H2O's. My second tag is using the Just Keep Calm set, which looks like is out of stock at the moment, but keep checking, as I am sure it will be back in stock soon again. Once again the flowers are Petaloo painted with Twinkling H2O's. So pretty, aren't they??? Well, that is it for the day. Wishing you a beautiful one!